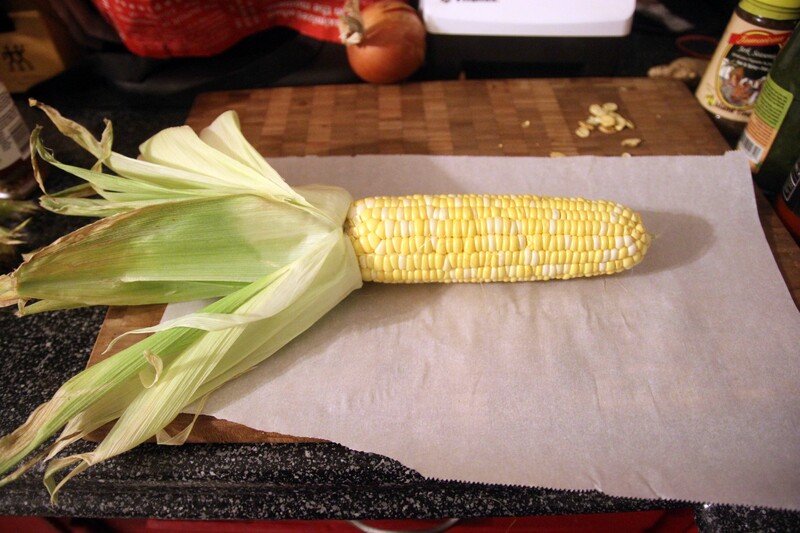 I came up with this method of cooking corn one summer when we bought over 12 ears of corn and got tired of eating them boiled or on the bbq. You can use any combination of spices or salts, our favourites being Cajun and Roasted Garlic and if you want to keep the salt intake down, just use unsalted butter. The ingredients are simple. 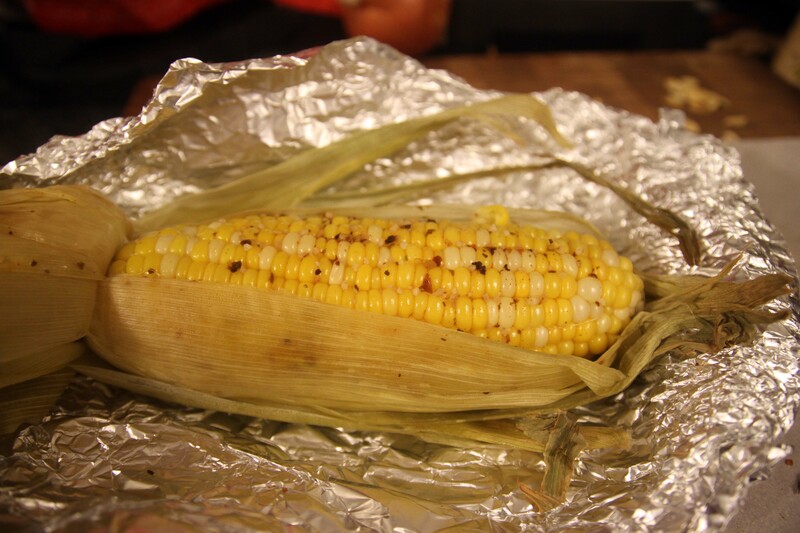 Corn on the cob in the husk, butter, salt, spice, aluminum foil and some water. First take off all the bits that look like hair and peel back the husk but don’t take it off. Do it like you were peeling a banana. 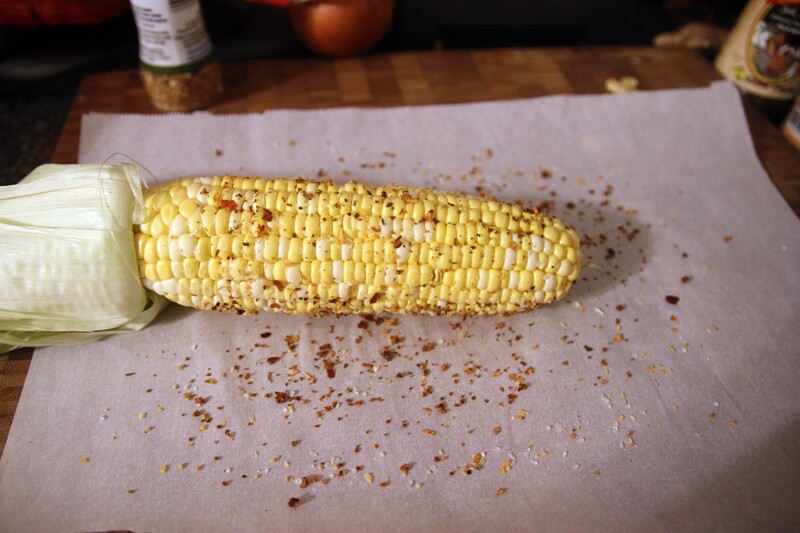 Then, put your spices and salt on. 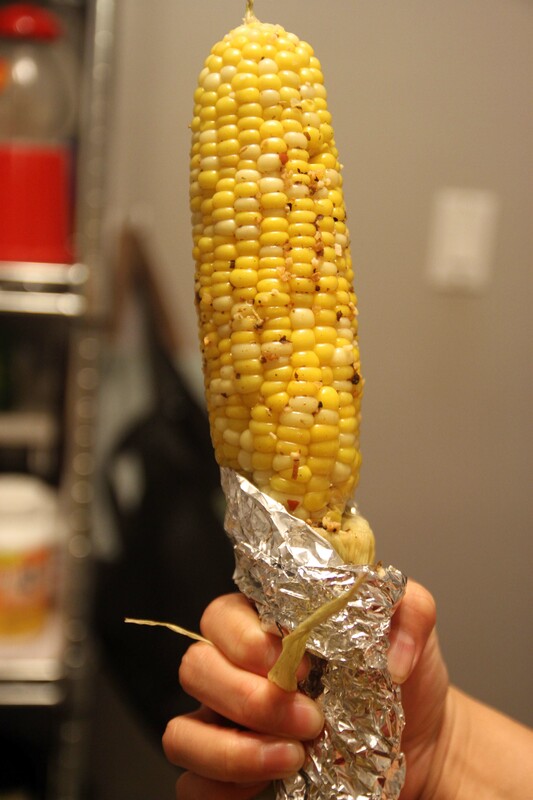 As you can see I put a piece of parchment paper down to catch all the stray bits but you can also use aluminum foil since you’ll be wrapping the corn up in it anyways. 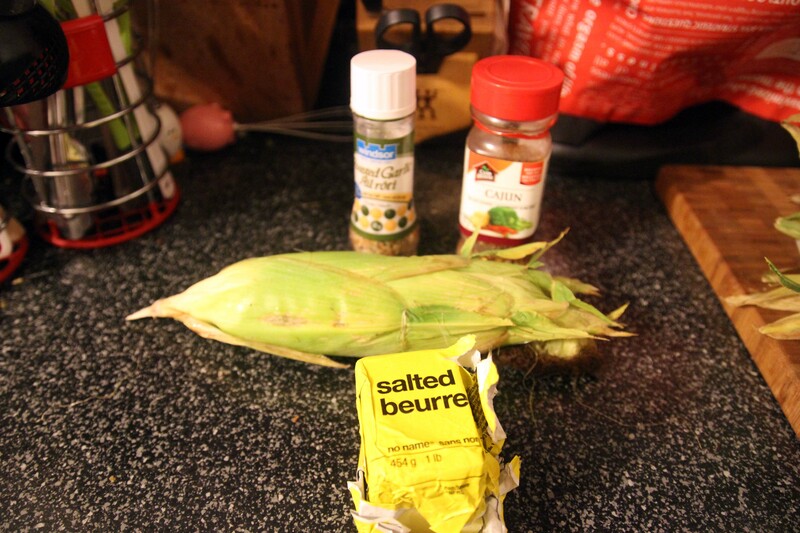 I take whatever’s left and put it back on the corn so there isn’t any waste. 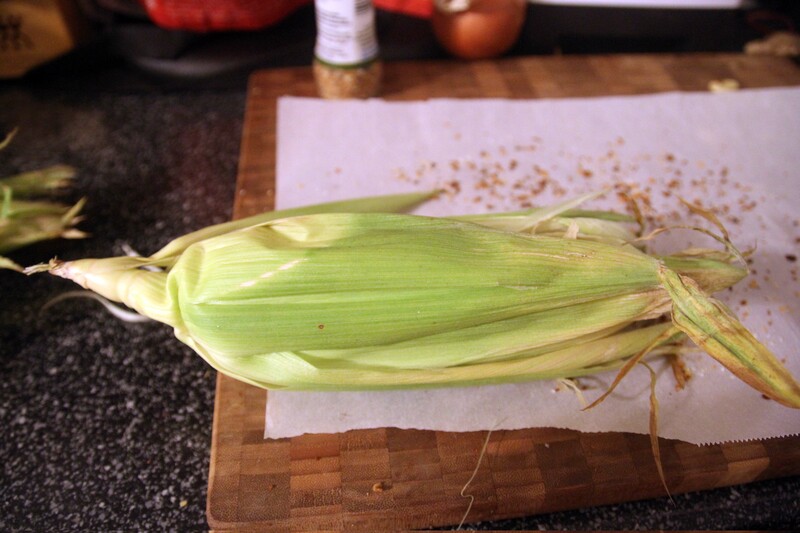 Then wrap the corn back up in the husk and put some water on it, either by holding it briefly under the tap or just patting it with water scooped into your hand. 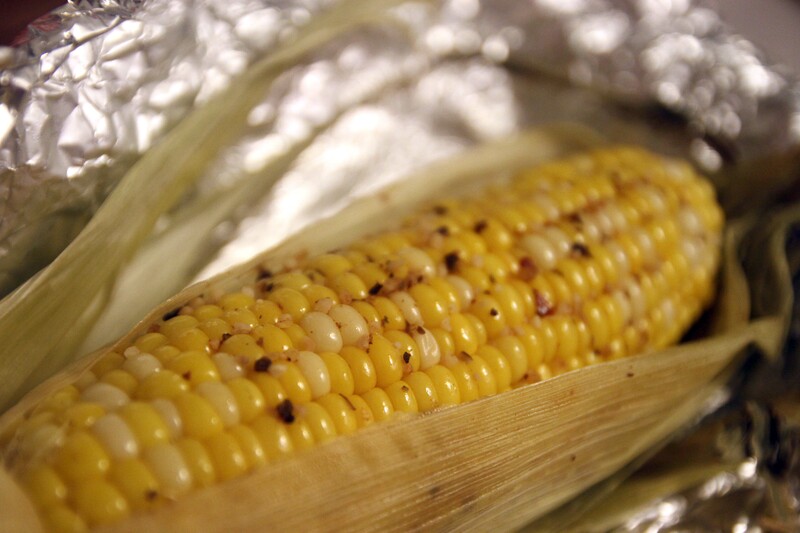 This keeps the husk from burning while it’s in the oven and helps steam the corn a little faster. Don’t put too much water or else you’ll wash off all the butter and spices. 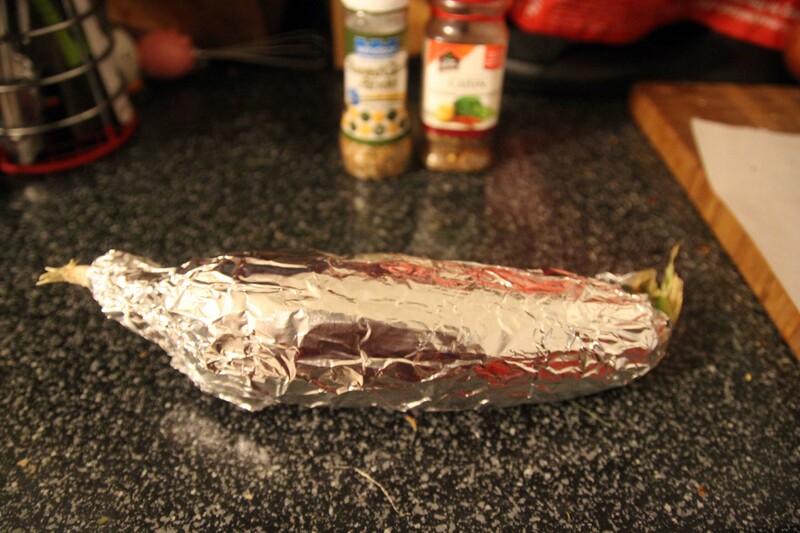 Then I wrap the ear up in aluminum foil and put it in the oven at 400 degrees for 40 minutes. 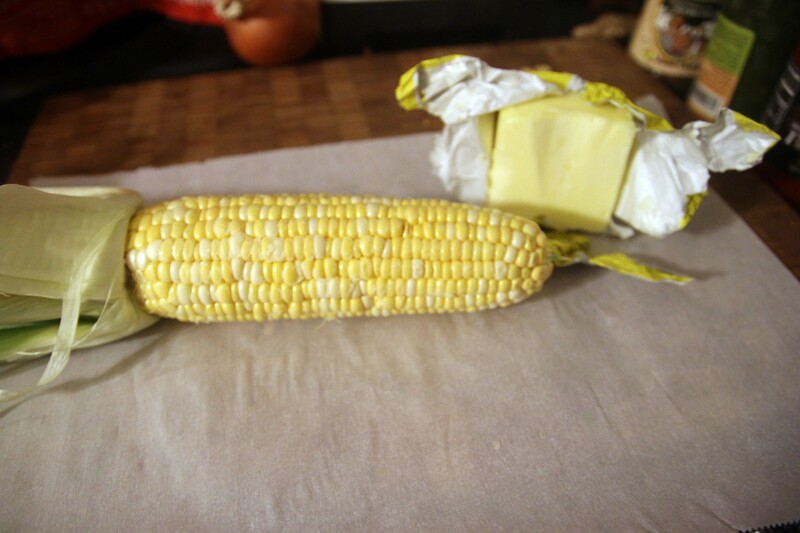 When it’s done, you’ll know from the smell of all that buttery goodness. Be careful when you take it out though cause it will be super hot.